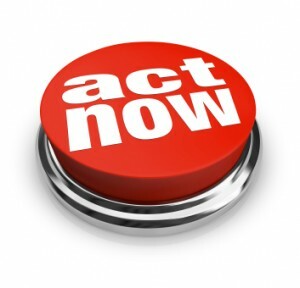 Is Today The Day You Take Action? Take a moment to close your eyes and visualize your to-do list. Is it long and overwhelming? If so, today, you’re going to take action. This might be the most difficult part because you probably have many things hanging over your head. Pick the one that gives you that bad feeling in your stomach when you think about it. Or else pick the project that will yield the most positive result for your business when it’s done. This is about improving your business, so keep that in mind while deciding. Just because I am issuing a challenge and you want to improve your business that does not mean you should make hasty decisions. Most likely you’ve been putting this off because it’s is going to take some time to complete, and is more complicated than just calling a client back. So if what you want to do involves hiring somebody else to get it done, do your research. If it includes doing something technical you’re not very familiar with, learn it. Once you’ve completed all the steps you need to in order to make this happen, make it happen. I’m not really sure what else to say. So that is my challenge. Those are the steps. I am going to get in on this challenge too. Would you like to know my shameful secret? I don’t have business cards. I own a business, I meet with clients, I promote myself, but I do not have a business card to hand out. Shame on me. I will be taking my first step toward becoming the proud owner of some really stupendous business cards as soon as I publish this post. I am going to do my research and see if this is something I should do myself or if I should hire a professional. I have to decide what to put on these bad boys, as in my mind, my business card isn’t just about getting in touch with me, but I want it to represent who I am and all I can offer. Not exactly a small order. Today I begin this momentous journey toward having business cards. What is your journey going to be? Please leave a comment and let me know. Perhaps I can even help you on your way.